The Amber Room comes alive with an amber-tinted, crest-adorned wallpaper that demands attention. 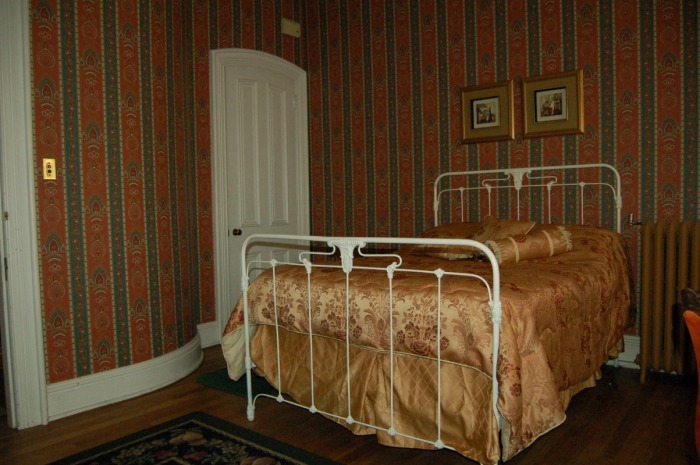 The wallpaper replicates that in a Victorian mansion in Walla Walla, Washington. A curved wall and two tall windows add character to this stately room. 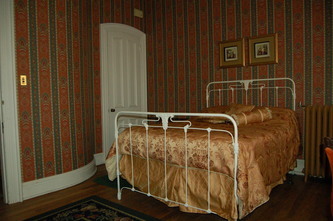 This room is named for the original Amber Room in St. Petersburg, Russia, which was dismantled before the German invasion during World War II. Dr. Henry Smyser, after serving as a surgeon in the Russian military during the Crimea war, was decorated by Czar Alexander II in the famous Amber Room. 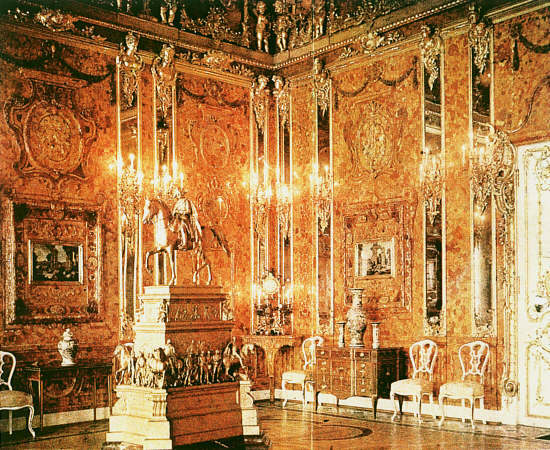 The original Amber Room, often referred to as the “eighth wonder of the world,” has not been revealed since it was dismantled. 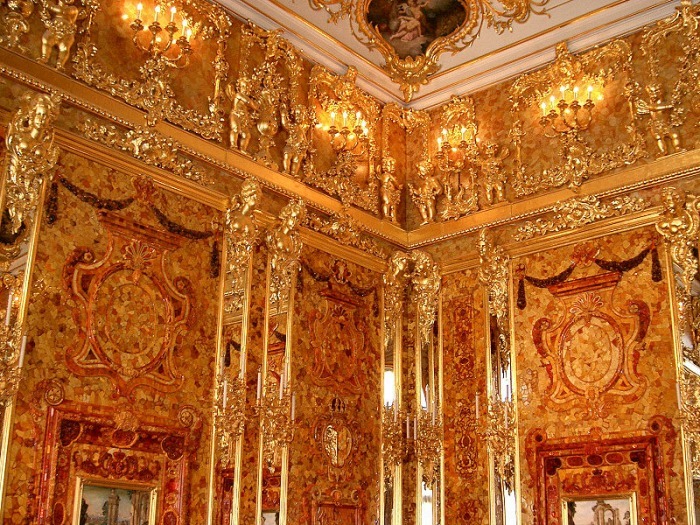 But you can visit this Amber Room, once enjoyed by a man who set foot in the original. 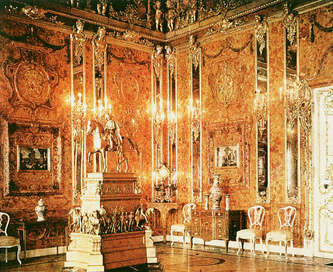 Much literature has been devoted to the famous Amber Room. We’re pleased to feature some of it in this Amber Room. Of note is the New York Times Bestselling novel, The Amber Room, a copy of which was donated to the inn by novelist Steve Berry himself.